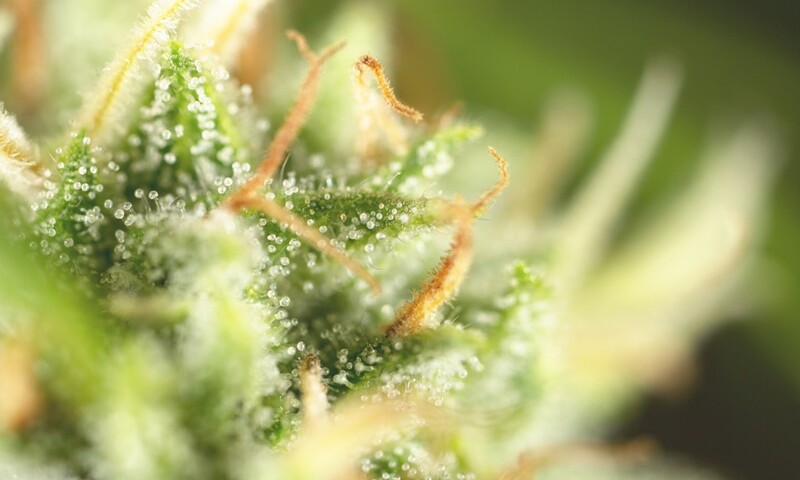 Myrcene, Linalool, and Bisabolol: What Are the Benefits of These Cannabis Terpenes? 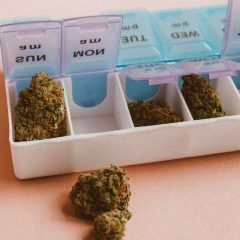 This article is sponsored by Tilray, one of the largest and most sophisticated producers of medical cannabis in the world. Tilray is dedicated to providing safe, consistent and reliable products to patients and furthering clinical research. Terpenes are fragrant essential oils secreted in differing concentrations in different cannabis strains alongside cannabinoids like THC and CBD. These compounds are what impart cannabis varieties with distinctive aromas and flavors such as berry, pine, pineapple and diesel. Besides affecting aroma and flavor, there is some evidence suggesting that they may also modify cannabis’s effects. As cannabis becomes more widespread, terpenes are beginning to pique the interest of consumers more than ever before. While the spotlight has largely been on cannabinoids, web searches related to terpenes have grown steadily since Colorado and Washington became the first states to legalize recreational cannabis in 2012. 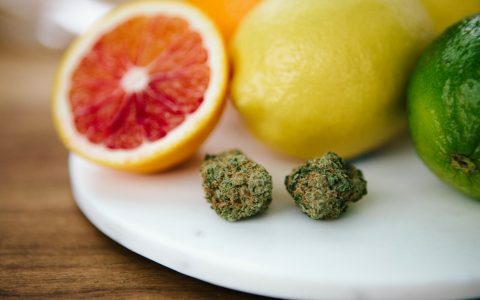 What Is Limonene and What Does This Cannabis Terpene Do? While over 200 different terpenes can occur in varying concentrations in any given strain, there are about 10 primary terpenes that occur most commonly in the greatest concentrations, and about 20 more secondary terpenes that occur in lesser concentrations. Myrcene and linalool are among cannabis’s primary terpenes, while bisabolol is considered a primary terpene by some and a secondary terpene by others. All of these terpenes display unique effects in various strains of cannabis. Myrcene (or β-myrcene) is a terpene that occurs often in highly fragrant plants and herbs such as mangoes, hops, bay laurel leaves, thyme, lemongrass, and basil. Myrcene is produced by numerous cannabis strains, and some rodent-model studies have suggested that it might lend sedative effects. Another place you’ll find myrcene is in mangoes. 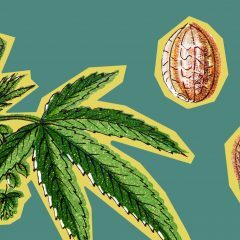 Anecdotal evidence suggests that eating a ripe mango prior to consuming cannabis may accentuate or extend the psychoactive effects of cannabis; some have suggested that this is due to the fruit’s concentrations of myrcene, which is naturally synergistic with THC and allows cannabinoids to more easily bridge the blood-brain barrier. While strains like Pure Kush, White Widow and Himalayan Gold frequently display pronounced concentrations of myrcene, these terpene levels can vary from grower to grower and plant to plant. Case in point: at Tilray, myrcene is currently expressed most highly by the strains Jack Herer, Warlock CBD and Pink Kush. Linalool is a naturally occurring terpene found in many flowers and spices including lavender and coriander. 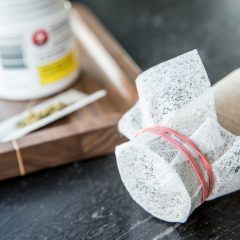 It gives off a complex yet delicate floral aroma, and while its effects are myriad, it is in particular one of the substances used most widely to reduce stress. Humans have inhaled the scent of certain plants, including many containing linalool, since ancient times to help lower stress levels, fight inflammation, and combat depression. Linalool has been the subject of many studies, including a recent one in which scientists allowed lab rats to inhale linalool while exposing them to stressful conditions. It was reported that linalool returned elevated stress levels in the immune system to near-normal conditions. Strains that frequently display high levels of linalool include Amnesia Haze, Lavender, and LA Confidential. At Tilray specifically, strains currently producing high concentrations of linalool include Master Kush, Pink Kush, and OG Shark. The terpene bisabolol (also known as α-Bisabolol or levomenol) is a fragrant chemical compound produced by the chamomile flower and other plants such as the candeia tree in Brazil. It is also produced by various cannabis strains. 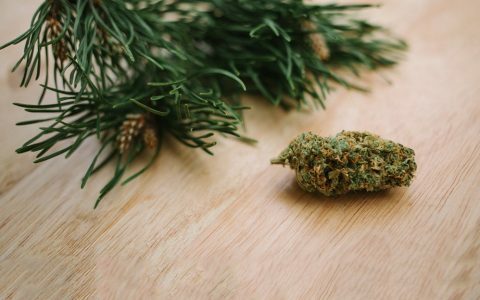 What Is Pinene and What Are the Benefits of This Cannabis Terpene? 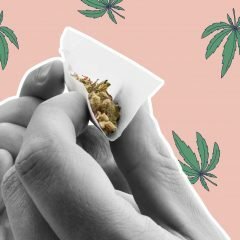 While it has long been widely used in the cosmetics industry, bisabolol has more recently become the subject of research for the medical benefits it displays in cannabis. Strains that are said to display high levels of bisabolol include Harle-Tsu and ACDC. At Tilray specifically, several of Tilray’s most popular strains express high quantities of this terpene, including Pink Kush, Headband, OG Shark, Rockstar and Master Kush. To view all Tilray strains, visit Tilray’s website. 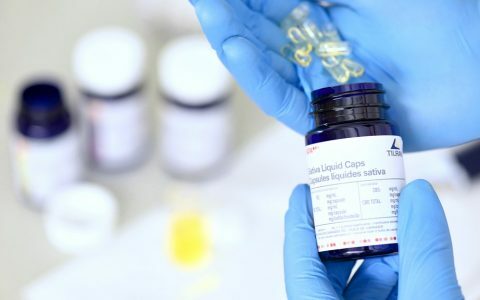 Tilray is one of the largest and most sophisticated producers of premium medical cannabis in the world. Tilray is dedicated to providing safe, consistent and reliable products to patients and furthering clinical research. So what can kush do that terpenes can’t? Kills bacteria, fungi, cancer and pain? Relieves stress anxiety and sleep problems?? Anti-spasmodic, anti inflammatory, anti tumor?? Umm wtf? Are we all going to become aromatherapists instead of stoners?? I’m leaning towards aromatherapy now as its THOUSANDS of dollars cheaper. I’ve yet to do enough experiments to say for sure If I can finally set the pipe down and just inhale some nice vapors of lemons and mango and lavender….then eat a cup of noodles with black pepper (which I already do sometimes) and douse it in ketchup and mustard :P.
Really would like to hear some experiences and opinions. sadly you missed the biologocal facts that thc provides rhw gateway entrance and tagalong capability of crossing the blood brain barrier which simple terpenes cannot. think of the thc molecule as the bus and bus driver that has the only pass to crossing that highway… allowing the terpene passengers the chance to go along on the ride. Kind of like Universal Studios bus tours where you get to ride the bus and see the ride but you could not see the ride without the bus. the myrcene assist in crossing the blood brain barrier is not proven. Perhaps someday we will see the science on that one. The science is its and mild sedative as shown in animal studies. That’s not a all what she’s was saying, lol OMG dude. 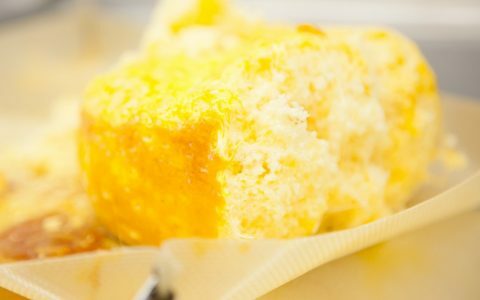 THC helps myrcene and other terpenes cross the BBB. no you gotta vape it muxed with a thc source in order to gain the medicinal benefits. very careful with how much you add, many anxiolytic terpenes can be anxiogenic at high doses. Yeah they can cause anxiety and discomfort. 1 drop /g is too much that would be 4%, way too high. i disagree, i have seen most oil concentrations be in the 8% area, with most high terp profile flowers testing in the 4% area. We found this idea so intriguing we decided to create a product line that combined a full spectrum of cannabinoids, CBD and terpenes into aromatic vapes and tinctures for a delicious way to medicate. The Lavender Chamomile has both Linalool and α-Bisabolol. You are correct, it works wonders as a use in aromatherapy. I’ve been using this hemp essential from hempowerful(dot)com for a few months now. I wear some on my wrists and a little around my neck and it makes me feel calm and relaxed. High my name is heatherb Ive been working in the Cannabis Industry since 2014 mainly growing, in Washington state. It was once described to me to imagine it like THC/CBD being the car and the Terpenes are the Driver of that Car. Which I think is a pretty accurate and a simple to understand analogy. The complexity of Terpene profiles excites me. Now, that is an explanation i can understand. Linalool is one of my favorite smells, working in the industry i have used a wide variety of terpenes, and i always come back to limonene and linalool the two together are a perfect match. Now the eating a mango before smoking i have heard since highschool days, But i never thought of connecting the terpene profile to the reason why it could possibly increase the effects and it totally makes sense, especially if you are ingesting/smoking weed with lower terpene content or if its a strain that happens to contain a different terpene profile it could replace the lost terpenes or give addition effects you might not experience smoking a certain strain alone.